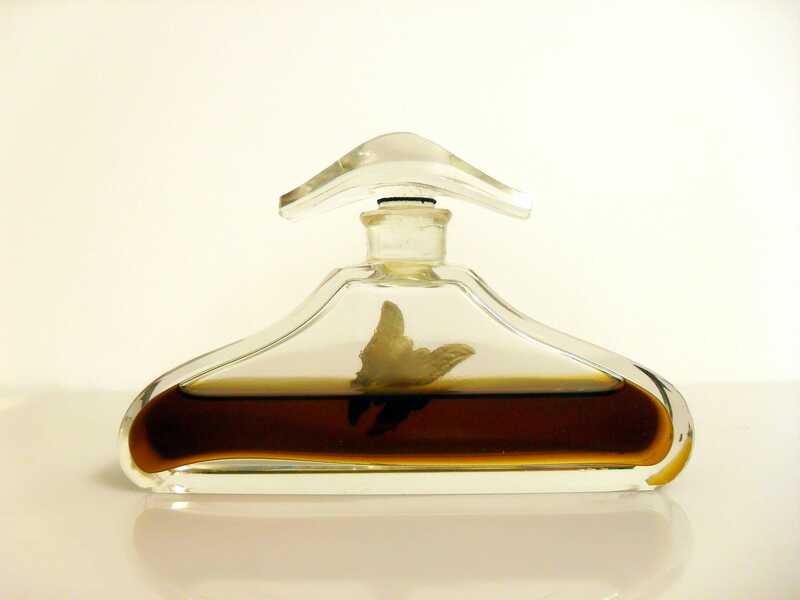 Rare Antique 1920s Juneve by Reval Langlois Pure Parfum Czech Crystal Art Deco Bottle Butterfly Label PERFUME. 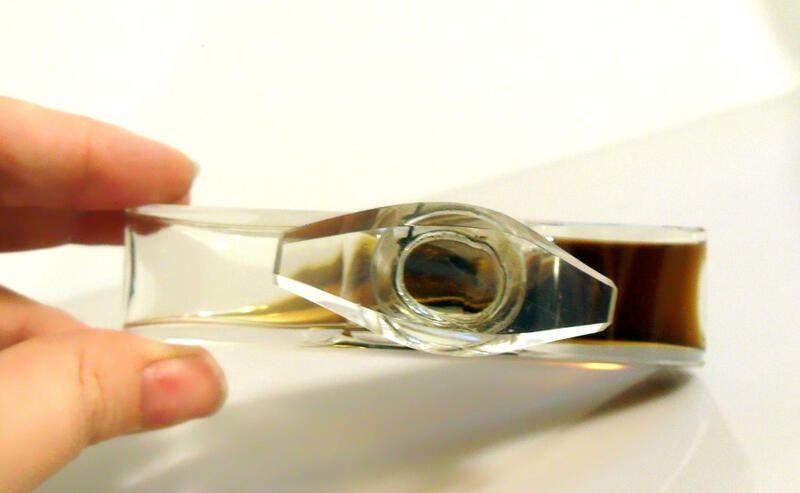 The bottle is an elongated triangular shape with rounded corners and is topped with a demi lune cut glass stopper (reminds me of Napoleon's hat). 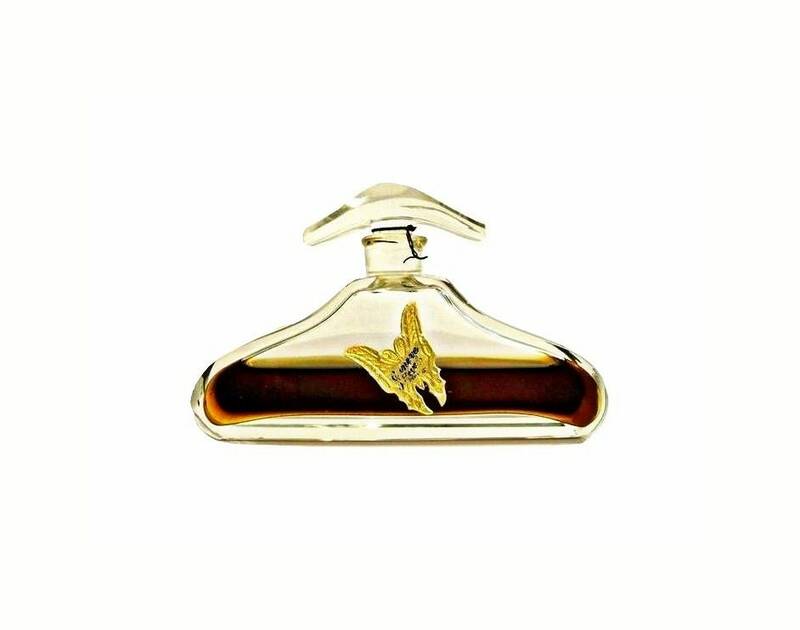 The bottle retains its original gold foil embossed butterfly shaped paper label on the front with the perfume's name "Juneve" and Reval, note that there is some wear to the label. 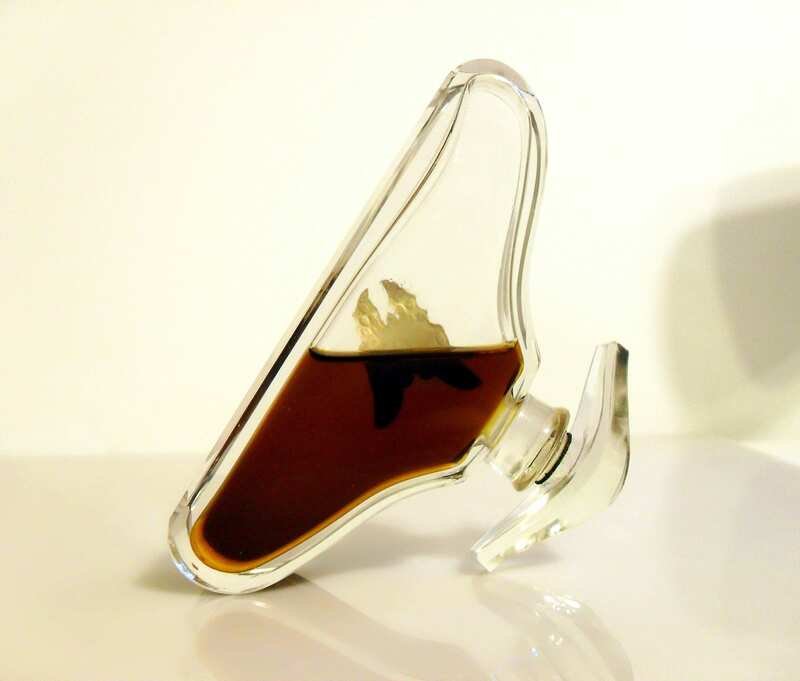 The bottle stands 2.5" tall x 4" long x almost 1" wide. 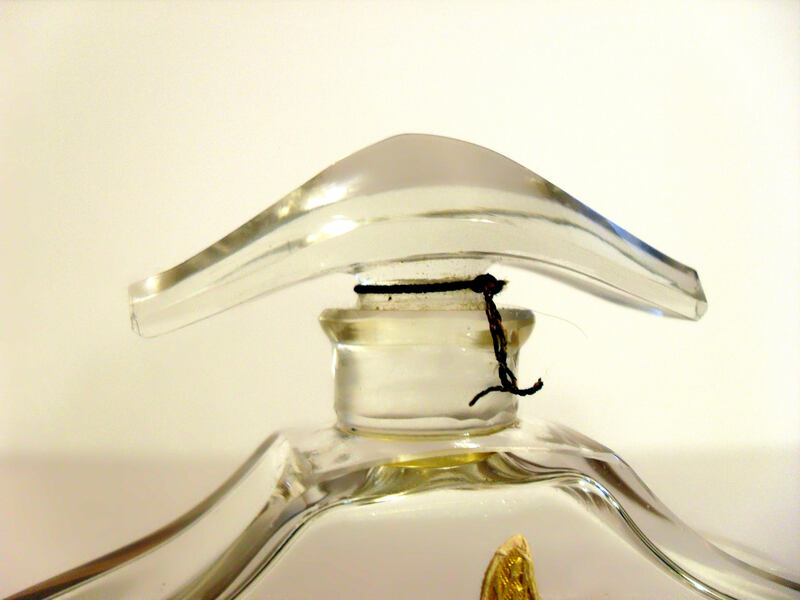 There is about 50% of the original perfume still inside. The stopper is frozen and I will not attempt to free it. 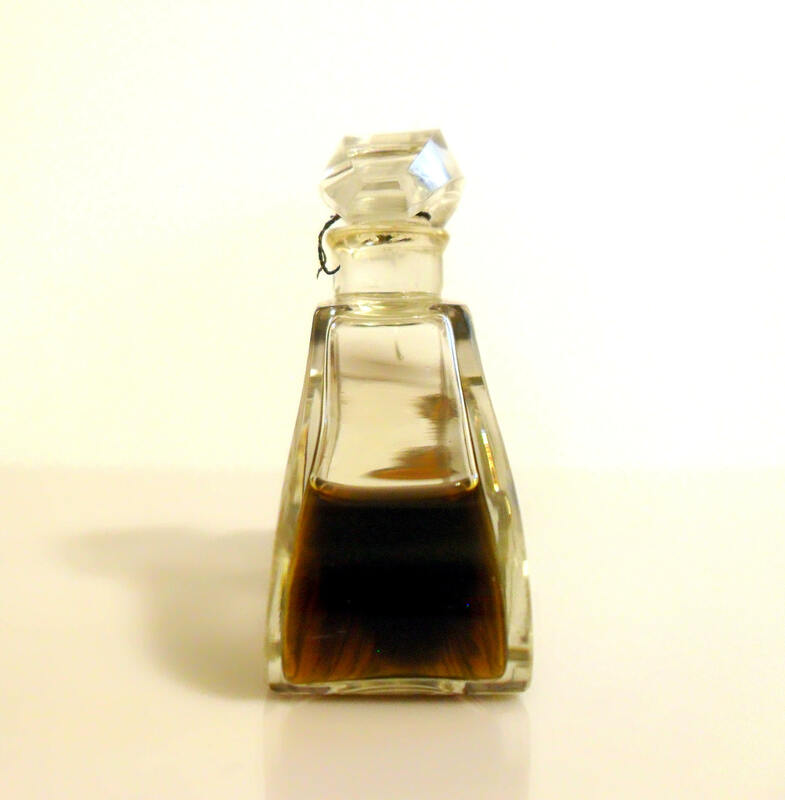 But I can smell some of the perfume when I put my nose to the bottle, it smells a lot like Tabu (Dana) and Habanita (Molinard). This is the first time I have ever seen this bottle! I love the shape of it! The bottle is acid stamped with "Bottle Made in Czechoslovakia" on the base along with some hand inscribed numbers, the base of the stopper also has some numbers, I can see this when I look down from the top of the stopper. 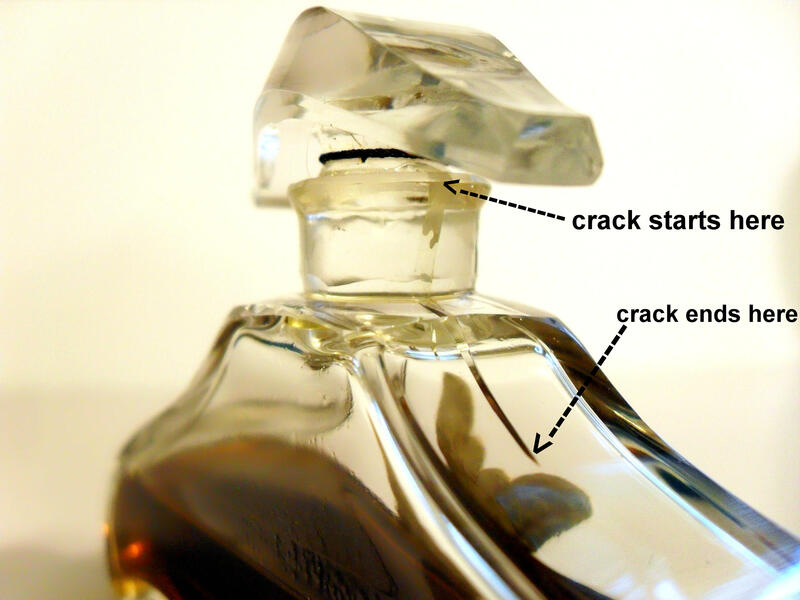 There is a crack in the neck of the bottle that extends into the shoulder of the bottle itself, please see photo. Launched in the 1910, Juneve was an entire line of toiletry products and cosmetics for women. 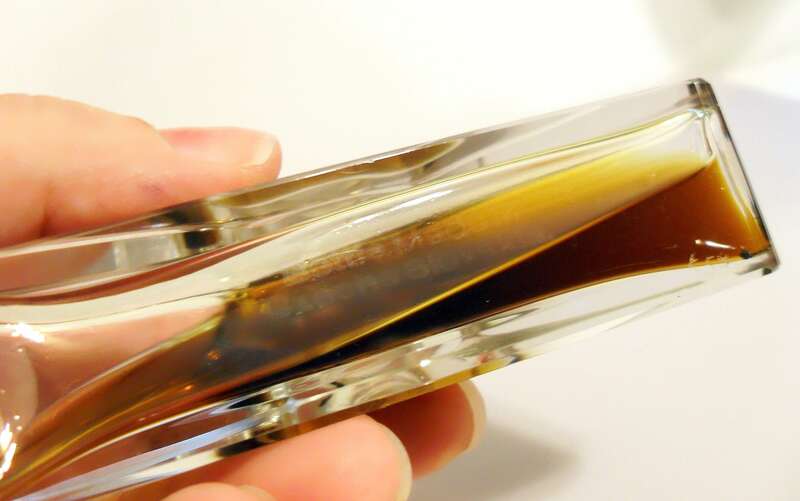 The Juneve scent was described as a delicate floral bouquet odor. Langlois was a perfumery division of the United Drug Co/Rexall Drug Store. Juneve was first launched by Reval, which was an early line by Rexall/United Drug, then the line was branded under the Langlois name. Any of the Juneve branded items are very hard to find, especially the Reval branded ones. 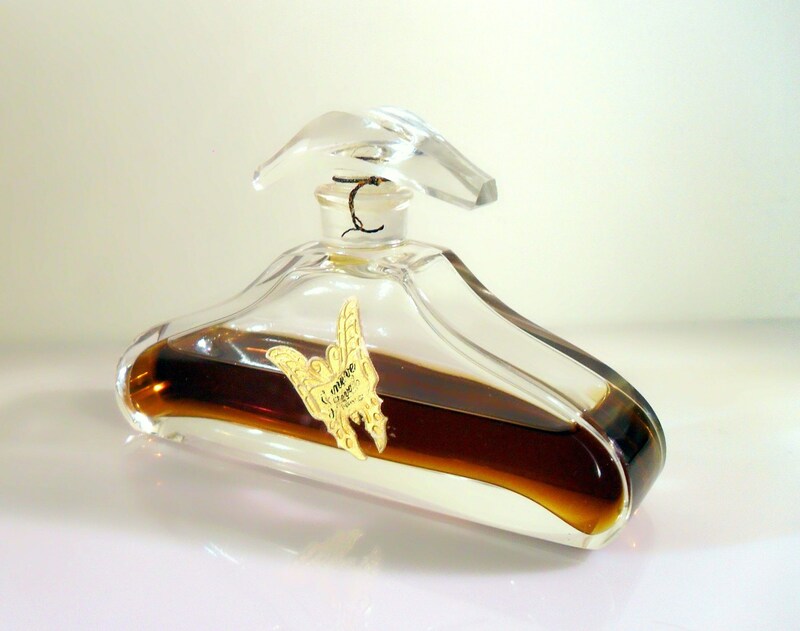 The Juneve line used an image of a lady riding on a dragonfly as their advertising motif on most of their products and boxes, but used a butterfly on their perfume and toilet water bottles. The Juneve line included perfume, toilet water, cold cream, talcum powder and face powder. 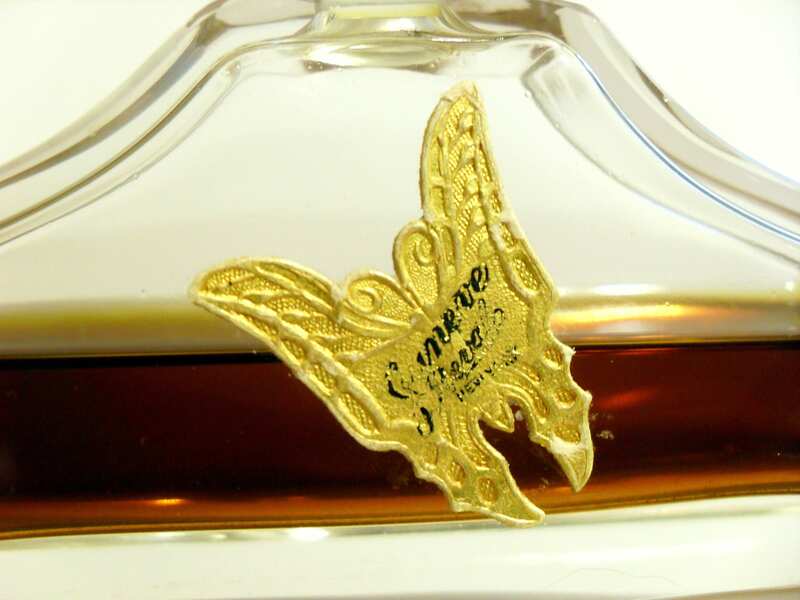 The Juneve labels were always askew, as if the golden butterfly was in flight, this is how it was portrayed in vintage advertising images. Looks like the Juneve line was probably discontinued around 1928 or so as I cannot find any other mention of the name in newspaper ads after 1928.